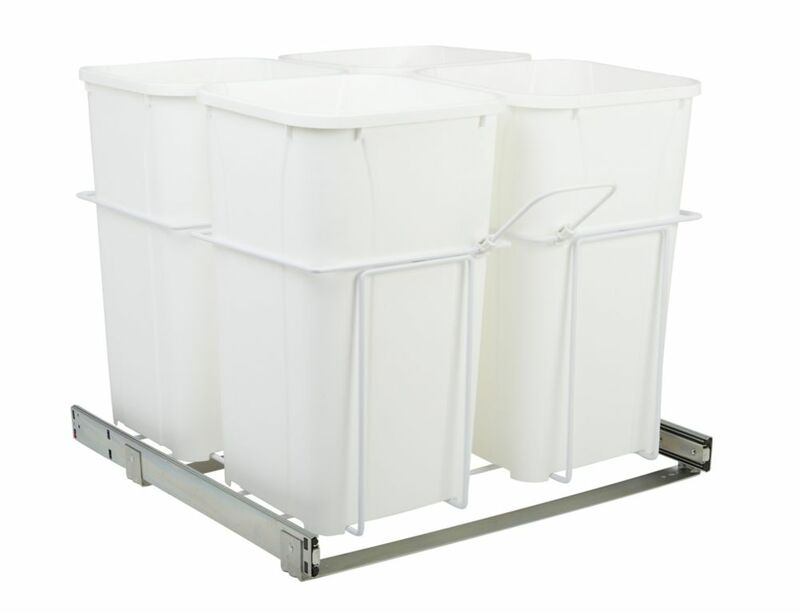 22 X 23.375 X 19 In-Cabinet Four-Bin Soft-Close Bottom-Mount 27 Qt. Pull-Out Trash Can is rated 4.5 out of 5 by 2. Rated 5 out of 5 by Anonymous from Nice Fits very well. We have kitchen cabinets in the bathroom and I use it for a hamper. It's nice because I can separate the clothes! Works super well! Rated 4 out of 5 by Ed from Replaced unused dishwasher. Seems to work well so far. Easy install. Would have preferred 2 larger cans as opposed to 4.